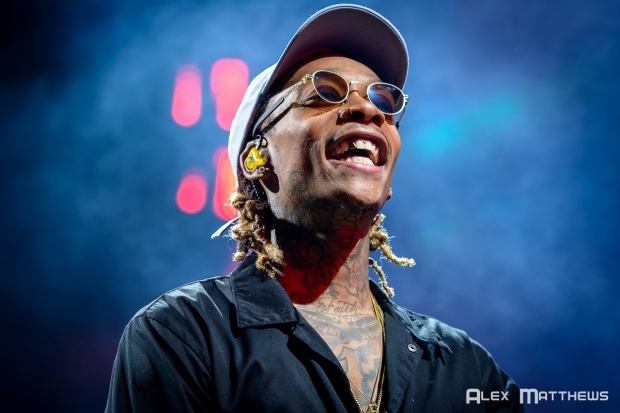 Wiz Khalifa headlines North Island Credit Union Amphitheatre on Aug. 10. "Black and Yellow" and "We Dem Boyz" superstar rapper Wiz Khalifa has just announced his return to San Diego. The Wiz will roll up to North Island Credit Union Amphitheatre on Aug. 10, some three years after his last appearance at the Chula Vista venue formerly known as Sleep Train -- and then Mattress Firm -- Amphitheatre. In July 2018, Khalifa released his latest album, "Rolling Papers 2," which, unless he has some new material in the works, he'll still be promoting come Aug. 10. The album debuted at No. 2 on the Billboard 200, making it Khalifa's fifth album to break the Top 10 in the U.S.
Tickets for this show go on sale to the general public starting Friday, April 12, at 10 a.m. with pre-sales going up on Thursday, April 11, at 10 a.m.
Wiz Khalifa headlines North Island Credit Union Amphitheatre on Aug. 10. Get tickets here.